The ProVista™ Sashless Double Hung Window offers unobstructed views whether the window is open or closed. The two panes of glass slide smoothly and effortlessly past each other with a minimalist design. Unrivaled design flexibility with the freedom to achieve large expansive openings whilst also offering a weather resistant and wheelchair compliant sill. This Sliding Door achieves large expansive openings whilst offering a weather resistant wheelchair compliant sill to AS1428.1 without the need to compromise on performance or aesthetics. Ideal for suburban housing, multi-unit residential, hotels and semi commercial applications, the windows are operated with Chainwinders with various options for single and double glazing available. These Awning and Casement windows are ideal for suburban housing, multi-unit residential, hotels and commercial applications with various glazing options available. ProTilt® High Performance Double Glazed Awning and Casement Windows are the preferred choice where superior weather performance is required. This door is perfect for suburban housing and multi-unit residential market, catering for timber reveals, various coupling, 4 point locking, louvre screened sidelites and a full range of glazing options. This 45mm commercial shopfront door can be used in hinged, pivoted or sliding applications. A versatile shopfront door that is easy to fabricate and install, can be used in hinged, pivoted or sliding configurations. A functional alternative to traditional door units in lighter commercial and residential applications, this door range has been designed with large floor to ceiling applications in mind. An update of the Commercial Sliding Door featuring new sill sections for both Double and Triple Track and a number of new sash options that allow for thicker glass, double glazing and an on site glazing option. This door allows architects and designers the ability to achieve expansive openings without the need to compromise on performance or aesthetics. The most widely used 45mm commercial shopfront door in Australia, this door can be used in a hinged, pivoted or sliding application. Developed specifically for multi-storey residential and architecturally designed housing View-Max® windows offer superior weather, thermal and acoustic performance. This window offers unparalleled levels of flexibility allowing designers and architects to cater for both the slimline applications and those of a more robust commercial design. ProTilt® High Performance Single Glazed Awning and Casement Windows are ideally suited for suburban housing, multi-unit residential, hotels and commercial applications. Allowing for wide panoramic views with natural daylight, its high levels of thermal and acoustic insulation combined with its wide range of configurations will satisfy any architectural requirements. This thermally broken sliding door system is a superior, high performing sliding solution with great aesthetics and design appeal. The product comes with sturdy rollers tested for many cycles of operation and is a trusted and proven product worldwide. With two options of top or bottom rolling hardware the Bi-Fold Systems feature flat sill options for smooth accessibility and optional mid rails with multi-point locking in a range of opening configurations. A premium product designed for those seeking superior functionality and style as a grand entry to their home. A modern designer door with a consistent 85mm wide face on both the stiles and rails. The subtle smooth edges and uniform sight lines are Carinya trademarks that add to the architectural look and feel of this evergreen window style. A particularly attractive option when ventilation and unrestricted views are key considerations. This is a mainstay of the Carinya range featuring two frame widths and multiple sash options. Provides flexible ventilation options with ease of cleaning. This window is a slimline design to complement heritage houses and new homes aiming for a designer look. This product that has evolved out of an Alspec system designed for the high rise apartment market. This commercial background means that the Door is packed with a multitude of performance features. A new development not previously available in the residential category, this is a window designed for Australia’s most demanding cyclonic conditions. This is a unique combination of form and function not previously available in the residential category. Has many visible advantages over alternative products in addition to its obvious aesthetic qualities. We provide a comprehensive range of skirting profiles suitable for all partition suites and commercial/industrial building fit outs. An economical, light weight, easy to fabricate internal framing system, accommodating a 64mm steel stud with plasterboard and glazing options. Created in response to market demand for a more contemporary framing system which meets today's design requirements, this system offers more strength where required. A narrowline, adaptable general purpose suite ideal for internal glazing and one of the simplest systems available for continuous glass walls. The most popular and flexible of the Alspec® Commercial range, the 150mm frame depth is ideal for shopfront use and is widely favoured by architects and designers for a multitude of applications. Our Channels can be used as standard perimeter Glazing Channel applications or recessed Glazing Channel applications and come in a range of sizes. Our wide range of Sub Heads and Sub Sills suit various framing sizes including 50mm, 65mm, 76mm, 100mm, 150mm, 200mm, 225mm and 250mm. The Hastings 550 Front Glazed Plant On System is versatile and flexible allowing glazing adaptors and covers to be fixed to other structures including aluminium, steel or timber. The Hastings 150mm Front Glazed Framing is a versatile and flexible system, ideal for shopfronts, upmarket residential and commercial applications. The Hastings 101.6mm Front Glazed Framing is a versatile and flexible system, ideal for shopfronts, upmarket residential and commercial applications. The ecoWALL® 225 Flush Glazed Framing is arguably Alspec's® greatest engineering achievement, eliminating the requirement of unsightly and often very expensive steel frames to support the system. This 150mm Acoustic Framing is the ideal system when sound reduction is paramount, it is ideal for commercial shopfronts, showrooms and high end residential projects. The most versatile and flexible of the Alspec® Commercial Framing Systems, it is available in a frame depth of 150mm x 50mm and is ideal for shopfronts and low-rise curtain wall applications. The most versatile and flexible of the Alspec® Commercial Framing Systems, it is available in a frame depth of 100mm x 50mm and is ideal for shopfronts. The most versatile and flexible of the Alspec® Commercial Framing Systems it is ideal for shopfronts and low-rise curtain wall applications. When energy efficiency is paramount, the versatility allows countless specifications to be achieved, from standard shopfront applications to the most challenging structural and energy requirements. The most popular and flexible of the Alspec® Commercial range, the 101.6mm frame depth is ideal for shopfront use and is widely favoured by architects and designers for a multitude of applications. Alspec's McArthur 150 Offset Pocket Framing is an extension of Alspec's® popular and widely used McArthur Centre Pocket Framing which is widely favoured by architects and designers. Suitable for residential entrance ways, arcades, glass partitions and offices, the Derwent is the lightest and most slim line of the multi-purpose Alspec® Architectural Suites. The most popular and flexible of the Alspec® Commercial range, it is ideal for shopfront use and is widely favoured by architects and designers for a multitude of applications. ThermAFrame® 50mm Commercial Door utilises the latest in European Polyamide Thermal Break technology to achieve the best possible results in energy rating in a system that is easy to fabricate and install. The 150mm Centre Glazed Thermally Broken Framing has been designed to accommodate high performance double glazed units that can maximise the performance of the building envelope. The 101.6mm Centre Glazed Thermally Broken Framing has been designed to accommodate high performance double glazed units that can maximise the performance of the building envelope. 150mm Flush Glazed Thermally Broken Framing is a high performance energy efficient framing option that achieves the best possible results in energy rating in a system that is easy to fabricate and install. 101.6mm Flush Glazed Thermally Broken Framing is a high performance energy efficient framing option that achieves the best possible results in energy rating in a system that is easy to fabricate and install. An energy efficient window option utilising the latest in European Polyamide Thermal Break technology to achieve the best energy rating results in a system that is easy to fabricate and install. Self mating louvre fins has been developed to provide a flexible, yet simple solution to external solar control requirements that seamlessly integrate with Australia’s unique architectural landscape. Versatile aluminium shutter system designed for both internal and external applications, it incorporates an outstanding modern plantation shutter look. Our full range of louvre blades from 50mm up to 600mm have been expertly engineered and designed with great aesthetics in mind. The Air-Flo® Glass Louvre system is a stand alone framing system offering architects and designers the latest in energy efficient ventilation. View all the product brochures for our Commercial Hardware. 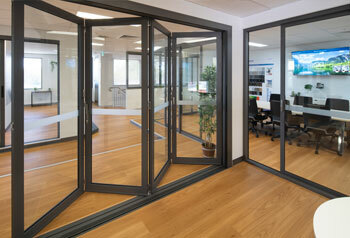 View all the product brochures for our Doors & Screens. View all the product brochures for our Gate Hardware. View all the product brochures for our Consumables. Alspec have a large range of sections for Cool Room and Portable Building applications. View the Cool Room and Portable Buildings Wall Chart for details. Alspec® Scaffold Planks have a unique hollow box profile with internal stiffening ribs, anti-slip top surface with rubber insert strips and cast end caps. We stock a large range of geometric shapes such as angles, channels, flat bars and tee sections to suit many applications. Alspec have joined forces with Danmac to bring you Australia’s most trusted and committed shower screen manufacturer. Alspec products have been designed to accept screening products without the need for unsightly adaptors or added material. A cost effective barrier solution designed specifically for child protection of openable windows, KidScreen is a unique patented design that was highly commended from the Australian Windows Association. Invisi-Gard®, Australia's premier Stainless Steel Security brand from Alspec®, utilises materials of the highest quality ensuring maximum security and great looks with low maintenance for many years. Comprehensive set of section drawings for our doors, windows and screens. Outward Opening Hinged Emergency Egress System designed to provide an escape route in the event of a fire or emergency situation in domestic or commercial buildings. Vision-Gard screens secure your home and provide security, privacy and strength, as well as being corrosion resistant and looking great. The All-Aluminium security screening solution for Australian conditions, Alu-Gard® is a perforated aluminium sheet retained in an extruded aluminium frame. Window and door grille options to improve the security of your home, Alu-Grille® are perfectly suited to a wide range of window applications as well as both hinged and sliding doors. Balustrade System developed to provide Architects and Builders an engineered and tested balustrade solution with Australia’s unique architecture and wind classifications in mind. Fencing System is a suite of specifically designed extrusions that provides a premium concealed fixed screening solution for use in both domestic and commercial fence and screening applications. Designed to suit all of our standard screen framing sections, the Alspec® aluminium cast panels offer a range of styles, patterns and colours. A comprehensive, modern and stylish range, this framing system offers great design flexibility, which, combined with easy installation, will be a welcome addition to any household. 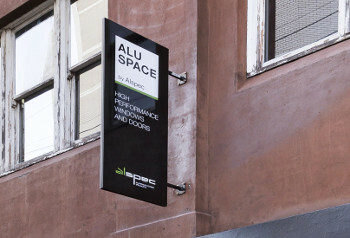 Alspec have opened AluSpace in Surry Hills, Sydney. AluSpace is the new home for advanced designs in aluminium window and door systems with a focus on large sliding and folding doors designed for the specification industry. Alspec have just opened another AluSpace in Beverley, Adelaide. AluSpace is the new home for advanced designs in aluminium window and door systems with a focus on large sliding and folding doors designed for the specification industry.